Gro™ makes watering simple and efficient for everyone. Simply place the sensor in the soil indoors or outdoors, and the system will calibrate to the plant’s watering needs using our catalog of over 50,000 plants. 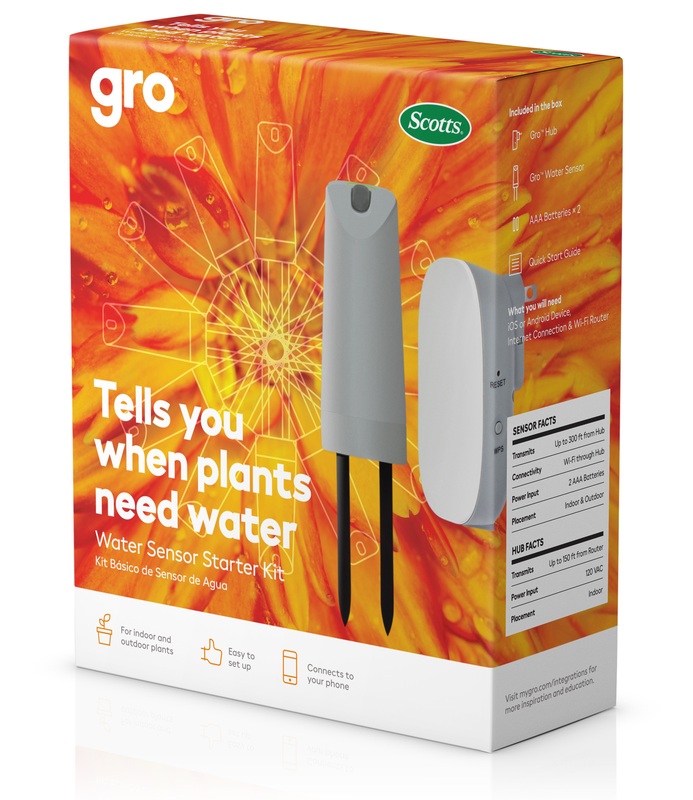 Gro™ continually monitors your garden and alerts you when water is needed. Setup your alerts through push notifications or email. Plug in Hub and install batteries in Water Sensor. Download the GroTM Connect App.